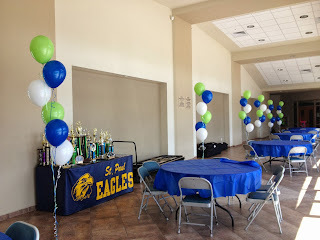 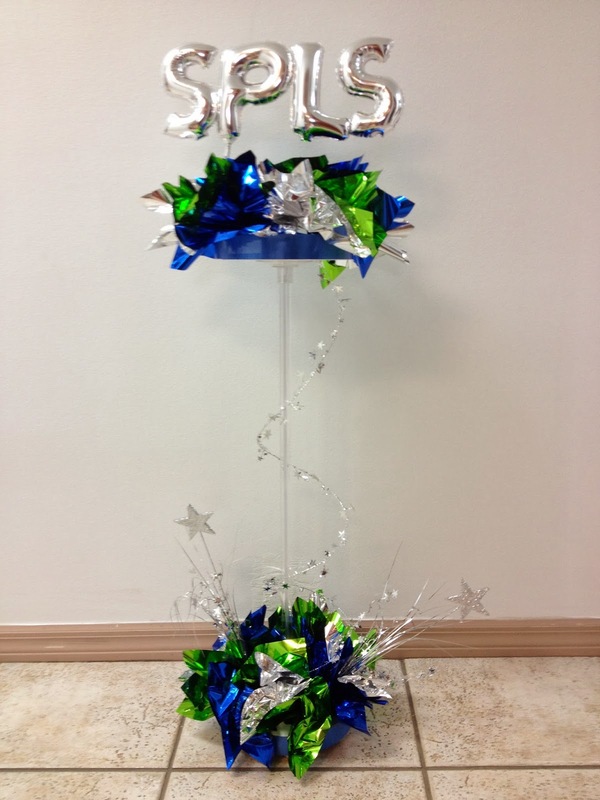 This SPLS custom centerpiece made out of 7 inch tall foil balloons and foil picks in the school colors. 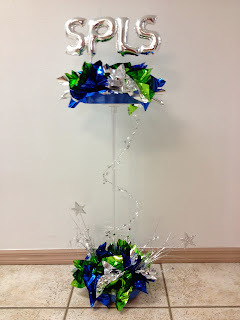 Let us know your school colors and we will create something for your events. 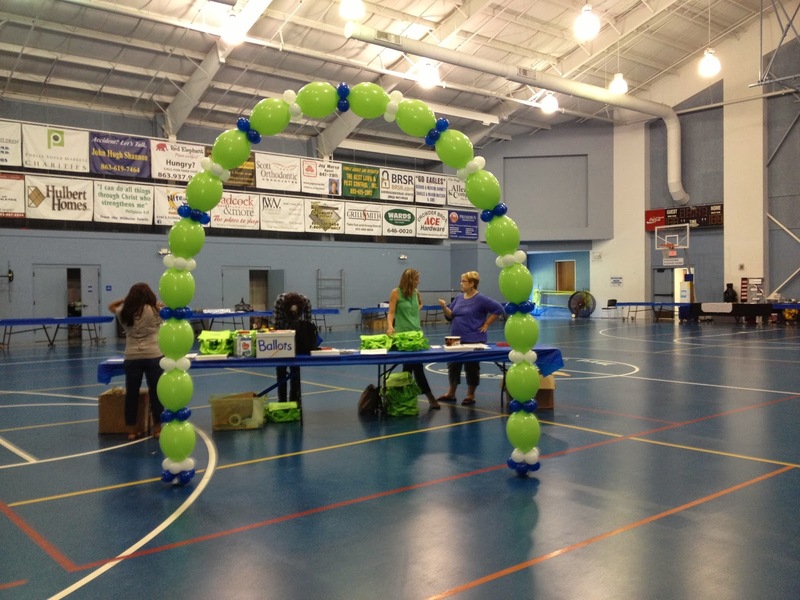 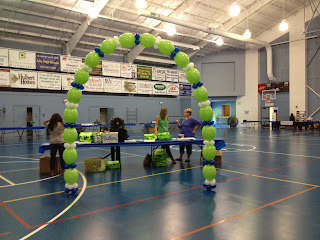 Liking balloon Arch greets parents and students and leads them to the registration table.